Now more troops from Benin, Cameroon, Niger, Nigeria and Chad are being sent to fight against Boko Haram. This new war on yet another shadowy terrorist entity in Africa is reminiscent of the failed Kony 2012 propaganda campaign cloaked in humanitarian ideals. It is used as a smoke screen to avoid addressing the issue of the victims of the war on terror, the real causes of terrorism and to justify another military invasion. It is true that Boko Haram makes victims, however the goal of Western intervention in Africa is not to come to their rescue. The deadliest conflict in the world since the Second World War and still raging is happening in Congo and the Western elite and its media couldn’t care less. That alone shows that military interventions are not intended to save lives. To understand why the media focuses on Boko Haram, we need to know what it is and who is behind it. What is the underlying context, what interests are being served? Is Boko Haram another US clandestine operation? Boko Haram is based in northeast Nigeria, the most populated country and largest economy in Africa. Nigeria is the largest oil producer of the continent with 3.4% of the World’s reserves of crude oil. Nigeria exerted its influence in the region through the leadership of the Economic Community of West African States Monitoring Group (ECOMOG, right), an army consisting of soldiers from various African countries and set up by the Economic Community of West African States (ECOWAS) and which intervened in the Liberian civil war in the 90′s. Liberia was founded in 1821 by the US and led by American-Liberians for over a century. The Western powers, first and foremost the US, are obviously not willing to let Africans have a multinational army in which they have no leading role. ACRI, which later became Africom, was formed in 2000 to contain Nigeria’s influence and counter ECOMOG, thus avoiding the emergence of an African military force led by Africans. 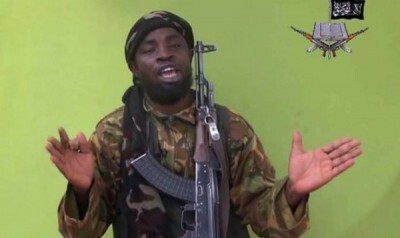 An investigation into Boko Haram by the Greenwhite Coalition revealed that the “Boko Haram campaign is a covert operation organized by the American Central Intelligence Agency, CIA and coordinated by the American Embassy in Nigeria.” The U.S has used its embassy for covert operations before. The one in Benghazi was proven to be a base for a covert gun-running operation to arm the mercenaries fighting against Bashar Al-Assad in Syria. As for the embassy in Ukraine, a video from November 2013 emerged recently showing a Ukrainian parliamentarian exposing it as the central point of yet another clandestine operation designed to foment civil unrest and overthrow the democratically-elected government. With the scourge of Boko Haram as an existential reality, in the coming months the spate of bombings and attacks on public buildings are likely to escalate. [T]here will be calls from the United States, European Union and United Nations for a halt to the violence. 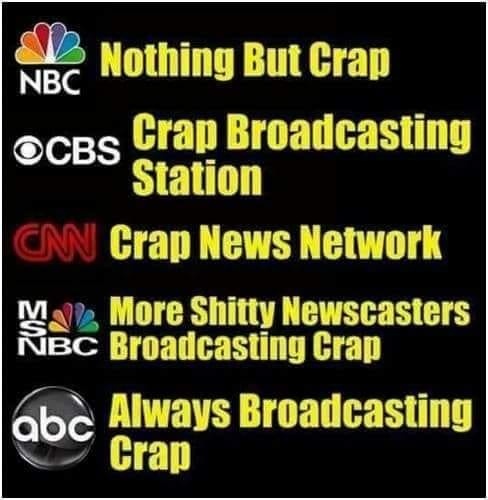 [...] For effect, there will be carpet bombing coverage by the International media on the Nigerian crisis with so-called experts discussing all the ramifications who will strive to create the impression that only benevolent foreign intervention could resolve the crisis. The Nigerian Tribune has reported that Boko Haram receives funding from different groups from Saudi Arabia and the UK, specifically from the Al-Muntada Trust Fund, headquartered in the United Kingdom and Saudi Arabia’s Islamic World Society . During an interview conducted by Al-Jazeera with Abu Mousab Abdel Wadoud, the AQIM leader states that Algeria-based organizations have provided arms to Nigeria’s Boko Haram movement “to defend Muslims in Nigeria and stop the advance of a minority of Crusaders” . 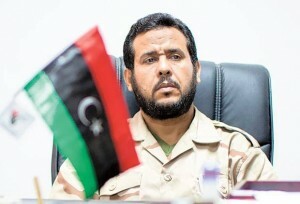 Image: Abdelhakim Belhadj, rebel leader during the 2011 war in Libya and former commander of the Al-Qaeda-linked Libyan Islamic Fighting Group. 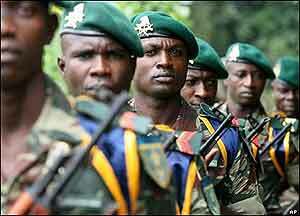 Reports also indicate that some Nigerian commanders may be involved in fuelling the insurgency. According to the report, a Nigerian soldier in Borno state confirmed that Boko Haram attacked Gamboru Ngala in their presence but their commander asked them not to repel the attack. The soldier told BBC Hausa Service that choppers hovered in the air while the attacks were ongoing. 300 people were killed, houses and a market burnt while soldiers watched and were ordered not to render assistance to those being attacked. The soldier said that the Boko Haram insurgency will end when superior officers in the army cease to fuel it. Could it be that these commanders have been coerced by elements in the U.S. embassy, as suggested by the aforementioned Greewhite Coalition investigation? Boko Haram: The next chapter in the fraudulent, costly, destructive and murderous war on terror? What exactly does the U.S. seek in Africa? When it comes to overseas interventions, decades of history have shown that the stated intents of the U.S. Army are never its real intents. The real intent is never to save humans, but always to save profits and power. US-NATO interventions do not save. They kill. US-led interventions since the beginning of the century have killed hundreds of thousands, if not over a million innocent people. It’s hard to tell because NATO does not really want to know how many civilians it kills. 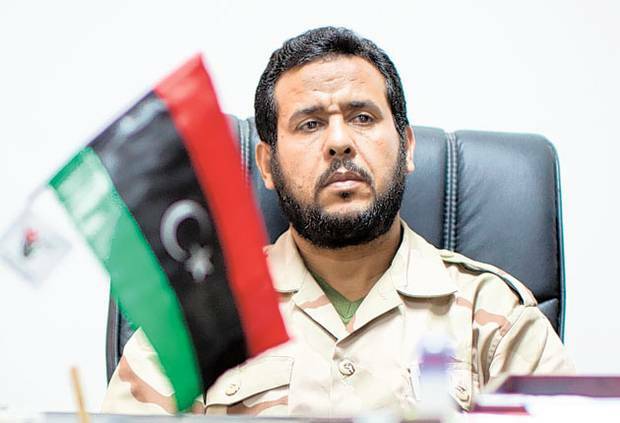 As The Guardian noted in August 2011, except for a brief period, there was “no high-profile international project dedicated to recording deaths in the Libya conflict”. What the Guardian fails to mention is that all these groups, including Boko Haram and the Islamic State, have been, in one way or another, armed, trained and financed by the US-NATO alliance and their allies in the Middle East. Thanks to the covert support of Western countries, arms dealers and bankers profiting from killing and destruction, the war on terror is alive and well. The West advocates for endless military interventions, pretending to ignore the real causes of terrorism and the reason why it expands, hiding its role in it and thereby clearly showing its real intent: fuelling terrorism to destabilize and destroy nations, thus justifying military invasion and achieving their conquest of the African continent’s richest lands under the pretext of saving the world from terror.